“There’s a tremendous range of human induced and natural induced disruptive events that impact this coast, and yet, it somehow survives,” says Craig Colten, professor in the Department of Geography and Anthropology at Louisiana State University at Baton Rouge. People living on the Gulf Coast know they will encounter natural disasters. Their ancestors have told stories of storms of past generations, and they were awakened to the reality that big storms can happen any time with Hurricane Katrina in 2005. But dramatic loss of land is something they didn’t expect. 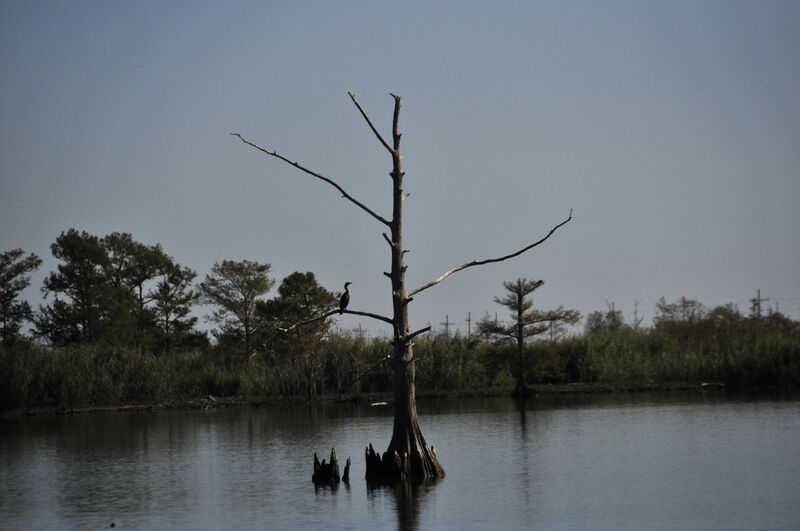 Re-engineering of flood plains and wetlands by the U.S. Army Corps of Engineers to accommodate development and industry has caused tremendous disruption of the coastal ecology, according to Colten, author of Perilous Place, Powerful Storms. “They call it the flood plain because it’s created by flooding water, which deposits sediment, which made this such a rich agricultural area,” Colten says. Building levees to prevent flooding sends the water filled with tons of sediment down the Mississippi River and dumps it into the Gulf of Mexico. This engineered change has interfered with the natural rejuvenation of the land from sediment deposited by the river. “Because it’s no longer rejuvenated on a regular basis, the delta is sinking under it’s own weight. And because it’s no longer getting fresh sediment to rebuild itself, it’s sinking faster than it’s growing,” Colten says. It has been discovered in recent years that drilling for fossil fuel in these low-lying areas also contributes to subsidence. The ancestors of Thomas Dardar, chief of the United Houma Indian Nation, have lived in the area of Houma, Louisiana for 300 years. To illustrate how rapidly the land is eroding and subsiding, Chief Dardar shows aerial photographs of the progressive loss of land. Each picture in the series of photos he displays from his computer shows less land, more water, fewer homes. Another long-term disruption in coastal ecology occurred in the 1970‘s to make it easier for oil companies to bring in equipment for on-shore drilling. The Corps built canals through the wetlands to allow big barges to carry the equipment. “So, you have this vast network of canals that have been constructed that allows saltwater intrusions, which kills the vegetation. It disrupts the habitat of the shrimp, and the other fish that use the estuaries as a nursery. It affects the salinity of the oysters absolutely as well,” Colten says. In Part II of “How Much Can the Gulf Coast Take?” we’ll explore how this disruption along with powerful storms and the BP Deep Horizon drilling disaster are affecting the fishers and costal communities who depend on this ecosystem for their livelihood and sustenance. All over the world people are taking on powerful institutions and saying no you can’t do this to our land, to our lives, to our planet. One of the biggest movements has risen against the tar sands pipelines and for good reason — In addition to what building the Keystone XL piipeline is doing to homes and farms, James Hansen says burning all the tarsands oil means game over for life as we know it on this planet. Now a bigger campaign is taking shape — 350.org is planning to peacefully and directly target the oil industry with an anti-apartheid scale movement starting the day after the US presidential elections. Take a look at 350.org Flickr page 40,000 photos from all over the world to see what already has happened. Please share this and find a way to get involved. People living along the Gulf Coast stay on edge this time of year: It’s hurricane season – a time of watching to see if tropical waves will become destructive storms as they move toward the warm waters of the Gulf Coast. This area has been ravaged by hurricanes – Hurricanes Andrew, Katrina and Ike have been the three most costly disasters in U.S. history. 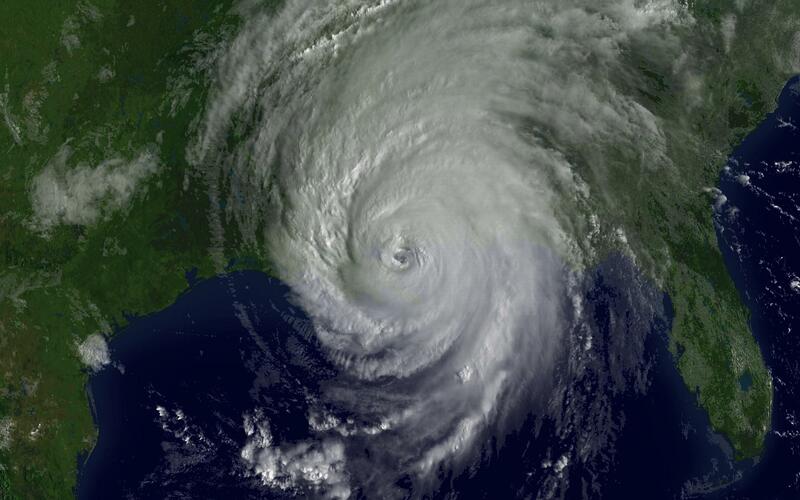 Ike cost $30 billion and brought devastation to Galveston and the Bolivar Peninsula in 2008. The hurricane resulted in the largest evacuation in the history for Texas. The Houston Ship Channel is the center for refineries and petrochemical plants in the United States producing dangerous chemicals and storing crude oil. A 25-foot surge in the Houston Ship Channel would cause significant environmental problems for all of Houston and the region as well as economic loss that would affect the whole country. To improve resilience of the Texas Gulf Coast, SSPEED is looking at a combination of structural and non-structural rfor protection of the Gulf Coast from storm surges and flooding. Structural solutions include a levee at the bridge on Highway 146 that crosses the Houston Ship Channel where the channel empties into the bay. The elevation of land at the point is 25 feet. A 25 ft levee system with flood gates could be built at this location to prevent a storm surge from coming up the channel. Non-structural solutions would involve protecting wetlands from development and preserving them to provide flood control as well as recreation areas for birdwatching and kayaking. The low-lying areas of Galveston Bay, Bolivar Peninsula and the upper Texas coast could become part of the national park system. Blackburn says as the SSPEED study continues, the faculty is identifying problems and working backwards to find solutions that make sense. Various entities will be encouraged to share resources in this time of tighter budgets and limited money. Preparedness is about more than food and water. Here’s a list of areas in life that need attention for preparedness. More details on each of these areas to come in future blogs. Please let me know what you are doing in these areas of your life. 1. Maximize good health and fitness – To survive a disaster it helps to have a strong immune system and good physical strength. Start good health practices – eat healthy food, take care of health problems; get plenty of rest. Increase endurance, fitness and strength – start an exercise program today that includes aerobic exercise and strength building. 2. Develop mental and emotional strength – Take an inventory of stress and time wasters in your life. Clear up stressful situations in your life that you have control over. Start a stress management practice. Take time each day to slow down, tune into your body, clear mind and deeply relax. Find ways to have more joy in your life. Practice breathing through the physiological response to a stressful or frightening situation and then notice how the mind clears. If you can wait for this clearing, a better decisions can be made. 3. Develop an inner source for solace and guidance – For most people this source comes from a religion or spiritual path. Slow down and pay attention to the breath. To stay focused, count to eight while you inhale and then count to eight while you exhale. Practice until it is easy and you are able to stay focused for 10 breaths. Learn to quiet the mind with a short affirmation, word, or sacred mantra and repeat it softly or silently inside your mind. Listen for guidance from within, the source of your devotion or inspiration. Practice making contact with this part of yourself every day. When times are difficult, you will be able to tune in and receive the guidance you need. 4. Create a network of friends and/or family – Create a community you can rely on when you need help. Make an effort to be with them at least once a week. Make sure to have some fun with this group. Talk about your life and the future you want to see. Make a plan for helping each other if a time should come when you need to shelter in place or evacuate. 5. Develop a local food supply – get to know your local farmers and farmers’ markets; plant a vegetable garden; get involved in a community garden. Store extra dried food and preserved food, enough for at least two weeks. Learn food preservation such as canning and dehydrating foods from your garden and local farms. 6. 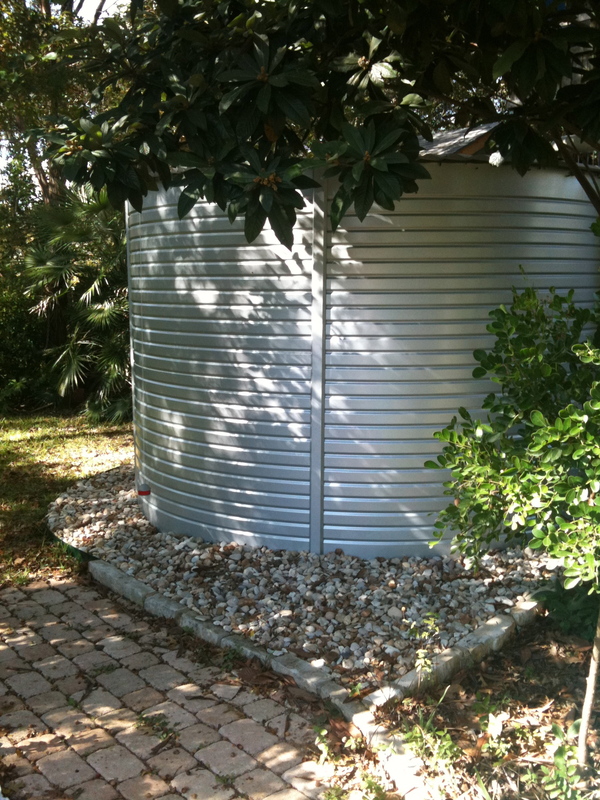 Create a system for having a source of clean water – install a system for rain-water harvesting; get a water purification filter and/or iodine tablets and learn to use them. Grapefruit seed extract also is a good purifier. 7. Start wildcrafting – learn how to recognize medicinal herbs and edible plants that grow in your neighborhood. Get a local herbalist to do a plant walk. Start collecting these plants and try them out. 8. Develop your own local health/healing network – Make a list of acupuncturists, energy healers, herbalists and other natural medicine practitioners preferably in walking distance from your home. Get to know them. Even better, get them together and make an emergency plan for providing healthcare for neighbors to be prepared if local clinics and hospitals were not available.